The Chronos Data Collector is an Android app that enables you to passively track your day to day life like places you visit, sleeping hours, working hours, transit time, exercise, average time at office, time spent out socially etc. 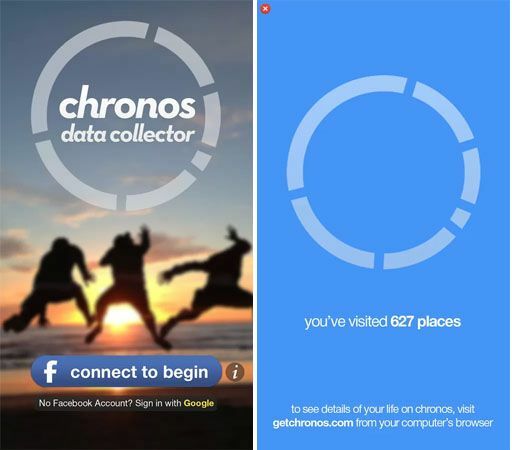 The Chronos Data Collection is very simple to use, Sign in Chronos using Facebook or Google+ and let the app run in the background. You don’t need to input any information, the app uses sensors, GPS and WI-Fi to collect your data. It also collects accelerometer data in order to help determine your location. 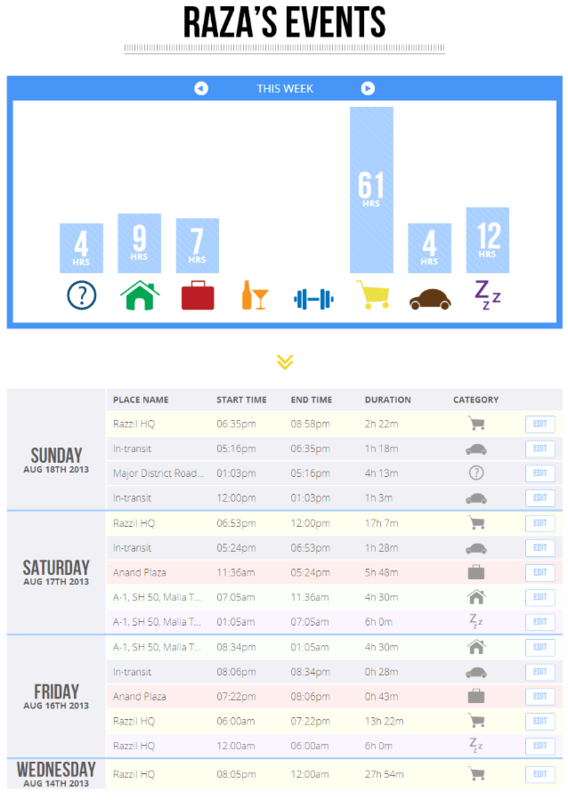 Chronos Data Collector then processes this information and plot in a beautiful Custom Inforgraphic of where you are and what you’re doing. The app is fully automatic and optimized for battery life and your mobile data. Chronos claim that data usage would be around 200 KB per day. To see your life on Chronos, you’ve to login in on your desktop browser at getchronos.com the mobile app won’t support this feature. You can use your data to set goals and track progress against them. Location fetched from Chronos is not 100% accurate, you’ve to confirm or modify data at getchronos.com. Confirming data help chronos to get smarter.